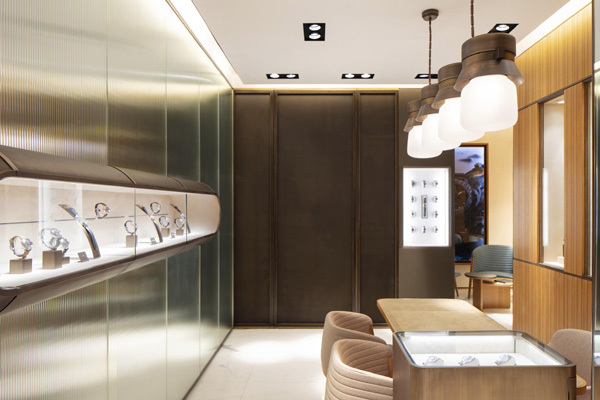 Officine Panerai, the Florentine luxury watchmaking company, has announced the opening of its boutique in New Delhi, India at DLF Chanakya, the new luxury mall in the capital city. Panerai has partnered with Ethos, one of India’s leading luxury watch retailers, to deliver an exceptional retail experience for customers. The concept of the design and the materials used respect the philosophy and history of Officine Panerai. It features an area of 36 -sq-m, displaying the collections of the Florentine company to enthusiasts and collectors. The renewed boutique remains consistent to the concept of interior design developed by Patricia Urquiola, the celebrated Spanish architect and designer, across all the Panerai boutiques worldwide. She has reinterpreted the aesthetic and technical codes of the watch house, respecting the identity of the brand with a timeless design: she has succeeded in respecting tradition with a look that is nonetheless modern and up-to-date, finding a genuine link between the past and the future. reference to the world of the sea and ships, as are the brass lights and the sales counters with their details of wood. The boutique also features a large Wall Clock, a largescale version of Panerai’s iconic watch dial. The boutique is welcoming, sophisticated, contemporary and elegant: as well as admiring the technical beauty of Panerai watches, clients can relax in a luxurious, intimate space.